A world-record crowd of 107,999 people watched as Anthony Mundine slid a grubber through the Melbourne Storm defence. ‘The Man’ was on the 10-metre line with 30 minutes to play at Stadium Australia in the NRL Grand Final of 1999. His kick rolled to within three metres of the tryline, where Storm halfback Brett Kimmorley slid in to retrieve it and collided with the legs of Dragons centre Shaun Timmins. The ball fell loose. Straight into Mundine’s hands. With second-rower Darren Treacy on his shoulder and winger Jamie Ainscough also within range, Mundine had two men on the left who could have scored completely untouched. He looked at Treacy … and went himself. It almost looked like a dummy. If it was, fast-approaching winger Craig Smith was not fooled. He clattered into Mundine, striking the side of his head with his left knee, and the Dragons five-eighth dropped the ball over the tryline. Mundine could not believe it. He glanced right, as the ball bobbled past his face. Left. Right. Left. Right. What just happened?! Whatever he knew in that moment, he at least knew that he’d blown it. Referee Bill Harrigan sent it to the video referee. Mundine walked away. There was no false celebrations with his teammates; only sorry explanation. Kimmorley had just rolled over to see what was going on as Mundine crossed the line. He could hardly believe his eyes. When it should have been 18-2, with a kick to come and the game in St George Illawarra’s keeping, Melbourne had new hope. They mounted an extraordinary comeback and won the game via a penalty try to Smith, who was knocked out by an Ainscough high tackle as he went to score off a Kimmorley kick in the 76th minute. After Matt Geyer slotted the conversion from straight in front, it was game over. Melbourne 20-18. A world record rugby league crowd in attendance as Mundine left the ground a shattered man. Teammate Nathan Blacklock, who scored a spectacular first-half try, said that he'd never seen 'The Man' so upset. But he had every reason to be. "The defining moment was certainly Mundine not scoring that try or not passing to his support runners," Kimmorley told Wide World Of Sports recently. "That probably puts the game out of reach." 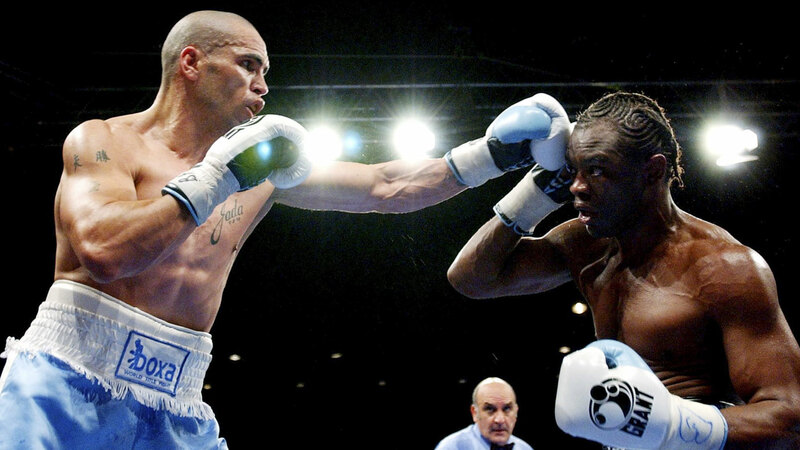 It was a nightmare moment that Mundine didn’t forget. Even when he was at the peak of his boxing career, fighting for world titles, he was considering a return to rugby league to right the wrongs. 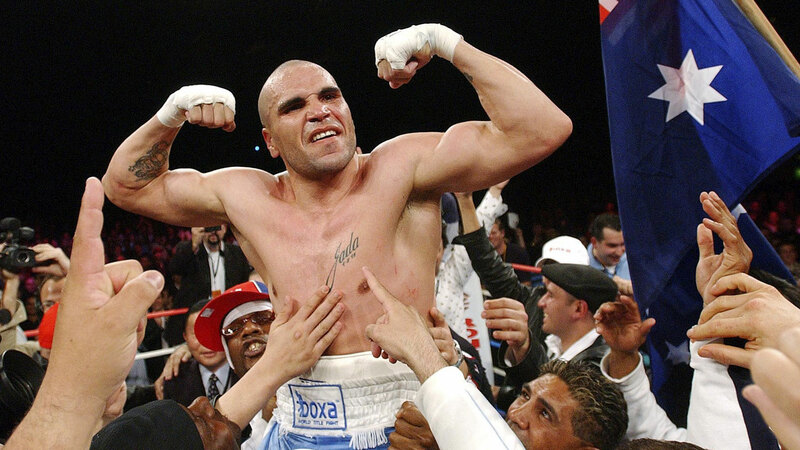 "In '99 we led 14-0 and 18-6 but it wasn't meant to be," Mundine said. "It still haunts me what happened but it wasn't our destiny, we weren't meant to win. But while I still can, while I'm still young enough to play, I want to make amends. "The grand final loss in 1996 is something that still hurts as well. "Going back to rugby league is something I've been thinking about for a while. It's been on my mind for over six months. And I have to go with my heart. I want to do it. "I believe I can be competitive as a player again, that I can be one of the best players in the game. And I want to win a premiership to help erase those memories." He never did. He stayed with boxing for 18 years and 56 fights. His 57th and final bout comes on Friday night against Jeff Horn at Suncorp Stadium. 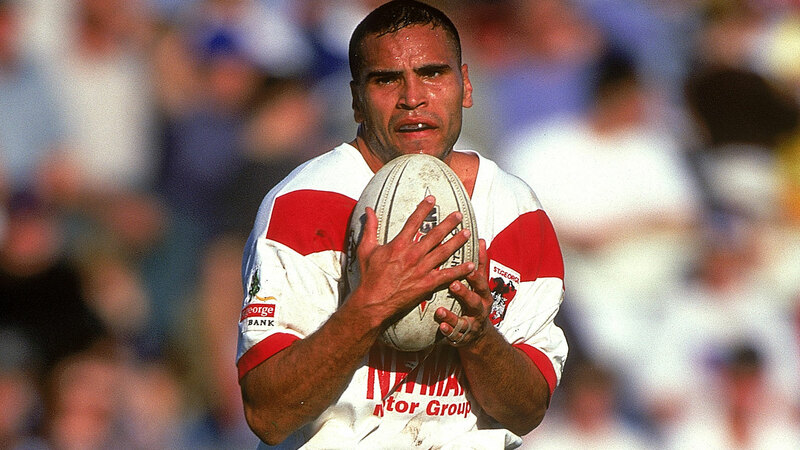 In the same season of his grand final nightmare, Mundine finally got what he felt was his due when he made his State of Origin debut at the old Lang Park. 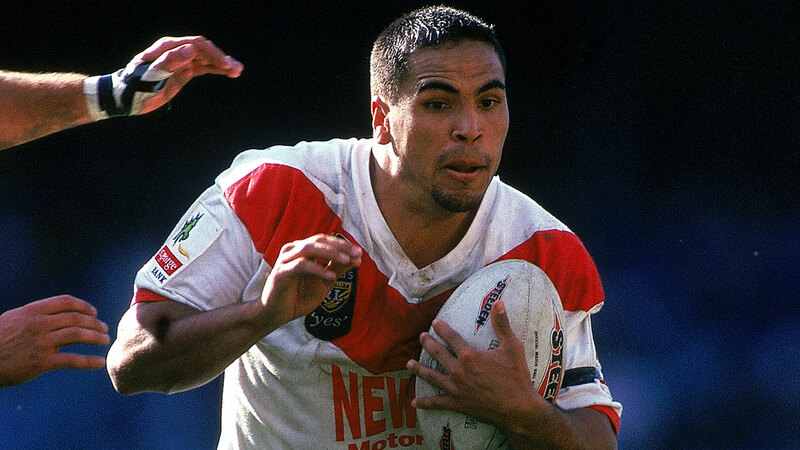 He played off the bench for the entire 1999 series, stuck in a reserves jersey as the rival five-eighths he had mocked – Laurie Daley and Brad Fittler – filled the NSW No.6 jersey. Mundine scored a try on debut, only for the Blues to lose 9-8 to Queensland. They won game two, after which Daley – who scored a try from an Andrew Johns pass – completed a lap of honour to mark his final Origin game in Sydney. Then, the most disappointing of series finales. Back at Lang Park, a 10-10 draw in the decider left the series tied at 1-1 and handed the shield back to the Maroons, as the 1998 winners. It was Mundine’s last Origin appearance, with season 2000 his last in rugby league before switching to boxing. Just a year later, he fought for a world title, losing by knockout to Sven Ottke in Germany. He became a boxing world champion just three years after leaving the NRL, beating American Antwun 'Kid Dynamite' Echols to the vacant WBA super-middleweight title via unanimous decision at the old Sydney Entertainment Centre. The victory proved beyond doubt that 'The Man', as he'd always told everyone, was a phenomenal athlete. Even in Origin and at the top of boxing, Mundine never played in front of a bigger crowd than he did on that ill-fated grand final day. Mundine vs Danny Green I drew about one-third of that number to the SFS. It was the most-watched moment of his career, in either sport … and it went horribly wrong for ‘The Man’. There was a comical postscript, too. In Round 5 of the next season, as the Dragons approached a grand final rematch with the Storm at the MCG, Mundine declared that Melbourne were not “worthy premiers”. The Storm responded by dishing out a 12-try, 70-10 annihilation of Mundine’s Saints. It remains the most points that the Storm have ever scored in a game.